Hawthorn (Crataegus oxyacantha) is one of the most effective herbs for congestive heart failure (CHF) in the world. Hawthorn improves the heart’s ability to pump blood through the heart more efficiently. Recent research indicates that hawthorn may help strengthen the heart and stabilize it against arrhythmia (irregularities of rhythm). Hawthorn is a considered to be a powerful antioxidant that can help you optimize your heart’s health, improving cardiovascular function, quality of life and longevity. Hawthorn can help maintain healthy blood pressure, promote healthy blood flow, reduce risk of cardiovascular diseases, support healthy function of the heart muscle (improving exercise tolerance), and can help to protect cells from free radicals (increasing longevity). Traditionally, Hawthorn was used as a cardiac tonic since the first century A.D, as recorded by the Greek herbalist, Dioscorides. Supplemented for its ability to help treat of dropsy, a condition we now call congestive heart failure. It was also supplemented for other health ailments such as sore throat. 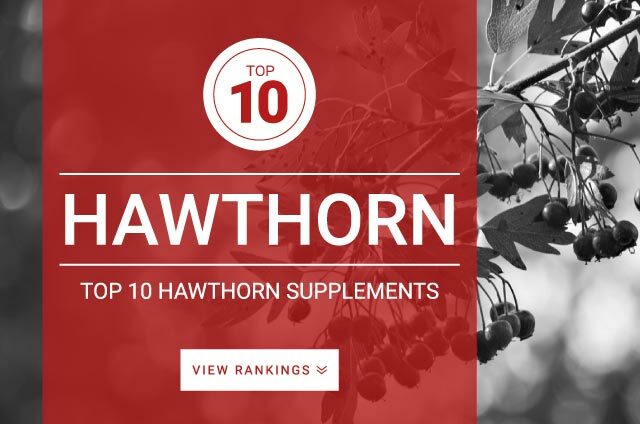 The standard dose recommended for Hawthorn is 300 – 600 mg taken 3 times daily of an extract standardized to contain 2% – 3% vitexins flavonoids.